Comments Follow the lead of the stars that gleam within this lustrous beauty and walk the road to your destiny. Featured today is a fully natural and unheated Ceylon blue sapphire of 2.02 carats set in sterling silver as a ladies blue sapphire ring. The cushion cut gem has an appealing royal blue color and has amazing clarity and lustre. 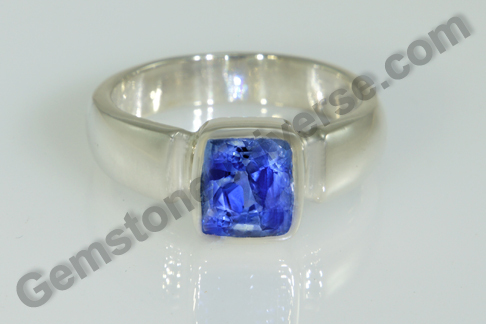 Blue sapphire is corundum colored blue, by traces of titanium. 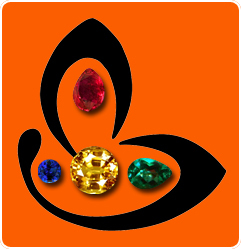 Corundum is a word derived from the Sanskrit word kurundum or korund. Another legend is that corundum got its name very early on from Karund which was the ancient name of Kalahandi district in Orissa. The ancient Naga rulers of this place were known as Karundhadhipati. This is one place that has been famous for gemstone deposits. In fact, quite interestingly the deity of this place is Manikya Devi or Manikeswari, literally meaning goddess of rubies or corundum. (Rubies are corundum colored red, by the presence of traces of chromium). Blue sapphire is also known as neelam in Hindi and Vedic astrology describes it as the gemstone for Lord Saturn/ Shanidev. It is a very potent gemstone, shows fast results and carries the powerful, transformative energies of Saturn. 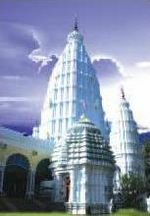 Namaste, I would like to visit the Manikesware Temple. Can you send me the direction, from the nearest airport. Thanks, Lincoln. The office will be sending a mail to you shortly. Thanks.